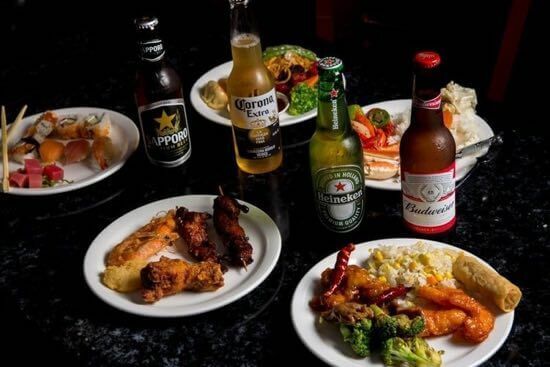 We are an all-you-can-eat buffet restaurant located in Midway, San Diego, featuring a variety of healthy options: seafood, sushi, soup, salads, Chinese, American, Asian fusion menu items, and so much more. Too often we see buffets that are nothing more than a litany of fried foods and other unhealthy options. When we opened Yummy Buffet, our goal was to have a buffet with healthy options for everybody. We focus on fresh seafood and sushi that tastes good and is good for you! We also offer a dazzling array of soups and salad, and never use MSG, instead using 100% vegetable oil. Yummy Buffet wants to make sure everything you put into your body is healthy and makes you happy! It's always beach season in San Diego, so we provide a buffet with an amazing selection of guilt-free options. Do you have any questions about the offerings at Yummy Buffet? Give us a call! Yummy Buffet not only offers delicious food at our buffet, but we have a staff that is ready and willing to answer any and all questions you may have. Contact Yummy Buffet today by calling us at (619) 222-3388. 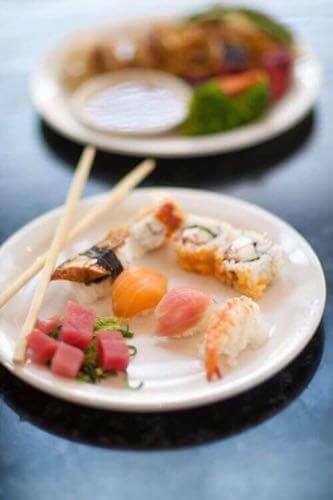 When it comes to seafood and sushi, you always want to make sure it is fresh, and at Yummy Buffet we 100% agree. That is why we make sure we only serve high-quality seafood that is fresh and delicious. We have a great selection of sushi, and a variety of seafood options available at our San Diego location, just waiting for you to sample. Yummy Buffet does not just offer sushi and seafood at our amazing buffet. We also offer authentic and delicious Chinese food. We have all of the favorites like beef and broccoli, chow mein, orange chicken and fried rice, dumplings, egg rolls, spare ribs and more. Our chefs have experience and expertise with all different kinds of Chinese food, and it shows. Our food is delicious, fresh, and bursting with flavor that is sure to make you come back for seconds. If you are looking for great Chinese cusine in San Diego, look no further than Yummy Buffet.